So, according to the published information, Dead Rising 3 release date for PC is scheduled for September 5th. On Steam, the price of the third part in the survival horror series will be $49.99. However, for the current moment you can pre-order the upcoming game with a 25% discount. But you have to hurry if you want to purchase the project’s copy at the attractive price, because the sale will last only 24 hours. The version of Dead Rising 3 for PC will include the improved textures and the possibility to play either by a keyboard with a mouse or by controller, and also will support the Steam achievements and trading cards. But this is not all the news about the popular franchise. 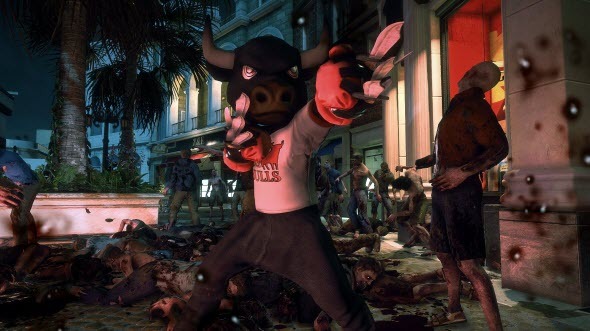 Recently, it has become known that Dead Rising movie, based on the game series, is under development. Tim Carter will direct the film, and Tomas Harlan will be its producer . Both of them have already worked on the Mortal Kombat: Legacy TV series. Besides that, Dead Rising movie will be created by the famous Legendary Pictures company, and Lorenzo di Bonaventura will take a place of the executive producer. He has shooted such films as RED, RED 2, Transformers series and other blockbusters. Unfortunately, we won’t see Dead Rising movie on the big screens. Firstly, it will be available only in the Sony’s digital service - Crackle - as an exclusive. And after several months since the premiere, the film will be launched on DVD. Are you upset with the postponement of Dead Rising 3 release date for PC? What do you think about the upcoming movie? Share your answers in the comments below.